I never knew my great-grandmother Susu, but she made an indelible imprint on fabric of my maternal family. My mother is her namesake, and one of her favorite stories about Susu involves cookies. Apparently my great-grandmother and grandfather baked batches of this recipe and won baking competitions together. I can imagine that strong-willed woman and her son in the kitchen, making cookies that look modest, but taste robust, rich and surprisingly light for something that seems so dense when it goes into the oven. To continue the story to the present day, this recipe continues to be a favorite with my family. My mother has been known to whip up a quadruple batch for a gathering at the house. Then of course the cookies disappear within days. Too much temptation! Allow butter, eggs and milk reach room temperature. 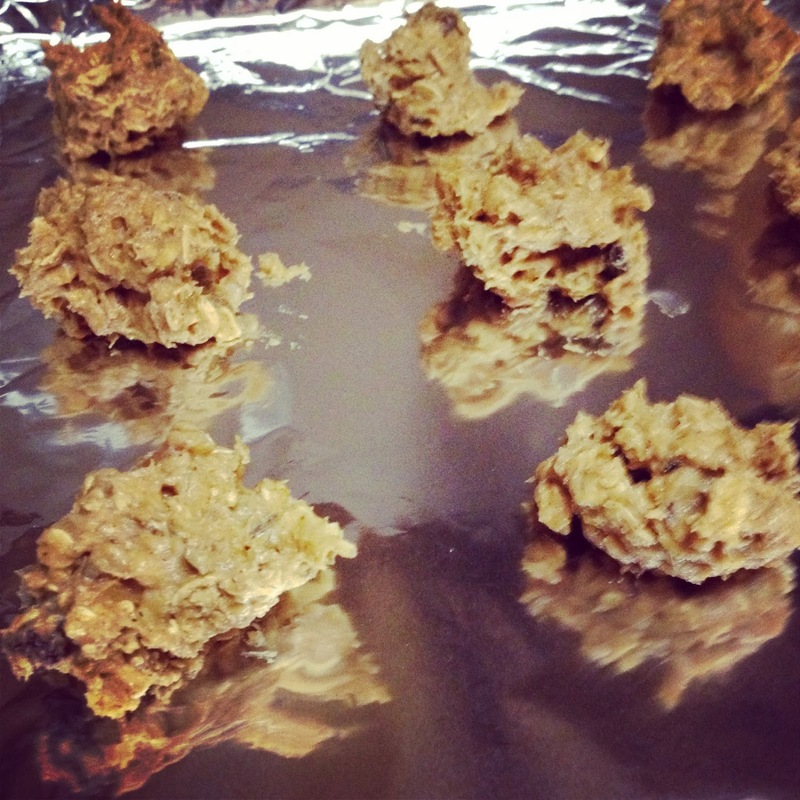 Preheat oven to 325 degrees F. Prepare several cookie sheets by covering in aluminum foil or parchment paper, set aside. Cream sugar and butter together in a large bowl. Add eggs, molasses and vanilla and mix until blended. Dissolve baking soda in milk and add to mixture. Add spices, oats and flour. 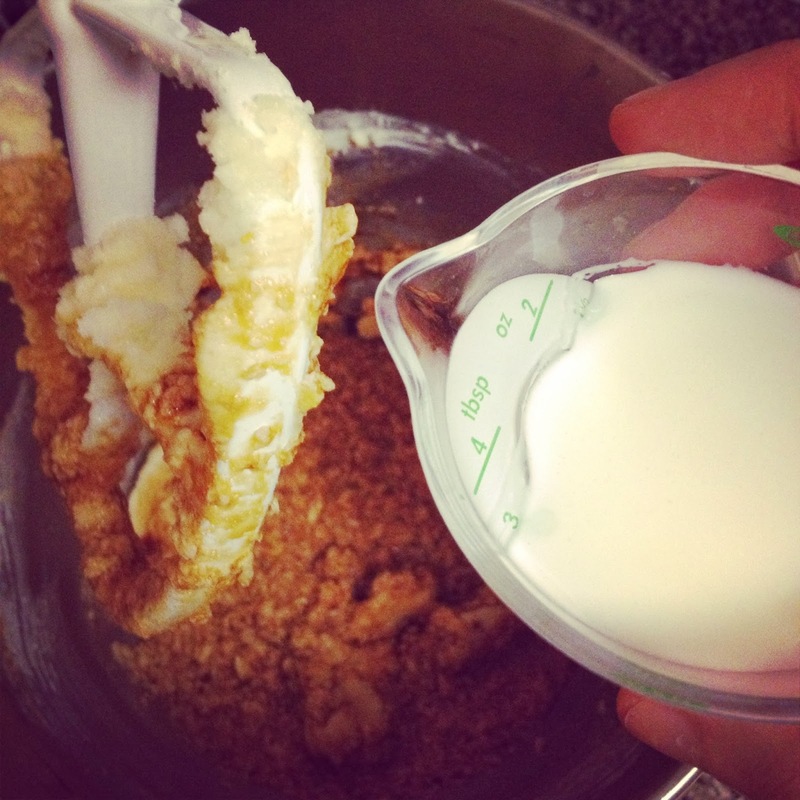 Mix until completely blended – batter should be heavy and a little sticky. 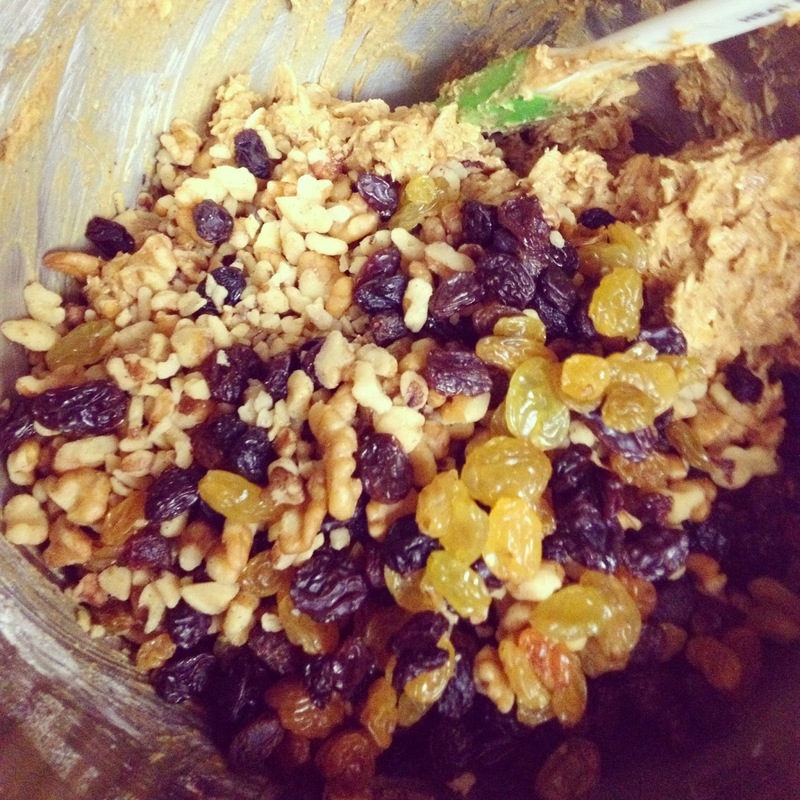 Fold in nuts and raisins. Drop by spoonfuls onto baking sheets. Bake for 18-20 minutes, switching racks halfway through baking. Let the cookies rest on the baking sheets for 5 minutes, then transfer to wire racks to finish cooling. Yields 3 dozen cookies (or a few more, depending on how generous you are with cookie size!). Note: This batter turns out best when the kitchen is a little cool. If you make these cookies in summer, I suggest refrigerating the dough for an hour before baking. 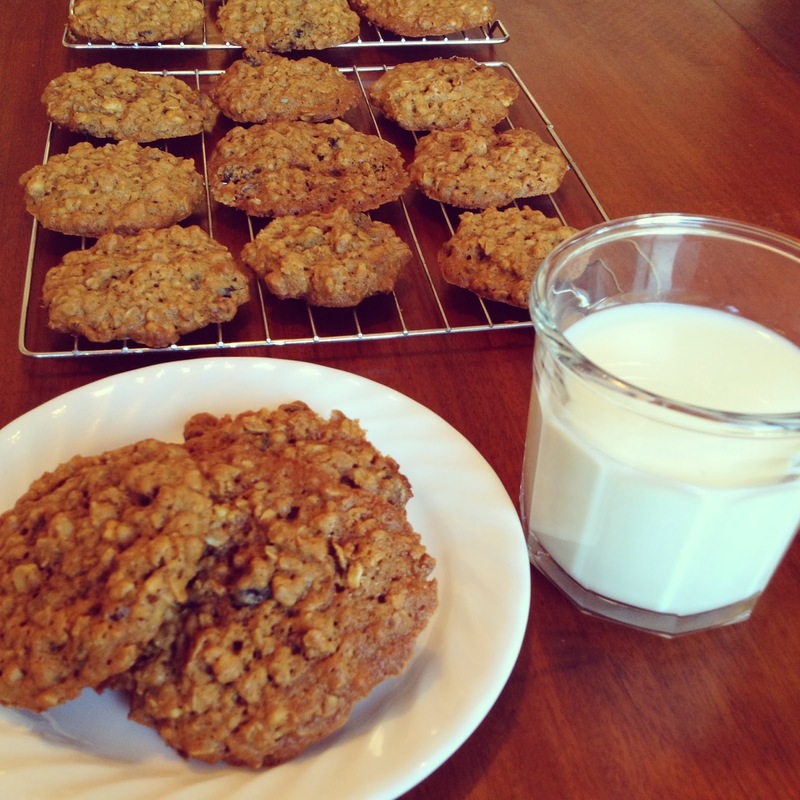 A word of warning, these are not mild oatmeal cookies that masquerade as a ‘sensible dessert.’ They’re packed with flavor and texture and will please fans of carrot cake and the occasional hearty morning muffin. In other words: don’t expect that store-bought oatmeal ‘taste.’ Also: they smell DIVINE while baking. Recommended for: fans of spice and texture in their baked goods, and the perfect hearty cookie to finish off a workman’s lunch. Love this story and how the cookies continue to unite your family across the generations. 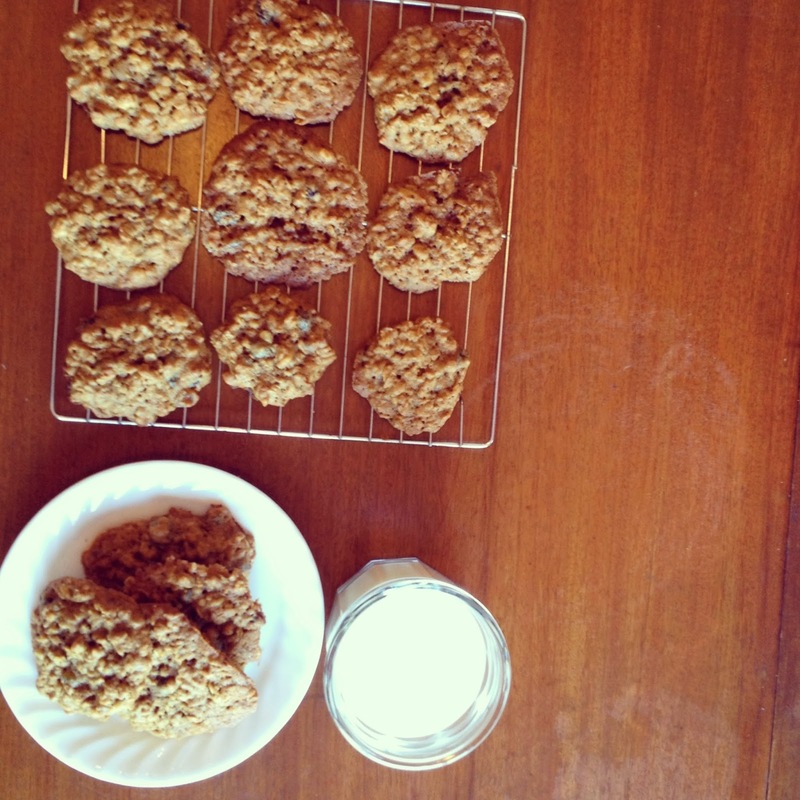 Molasses is so perfect with oatmeal cookies! How lovely that she baked them with her son! These look so good! I love molasses. I love old stories and recipes. These are really special, and I would adore one right now. Wait...make that two! I may have just drooled a little on my keyboard.